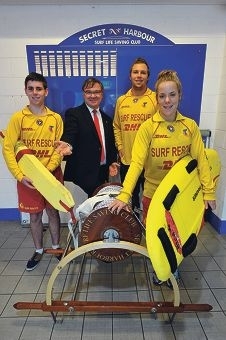 The club has been operating for nearly 20 years and is continuing to expand into a big surf club, with membership presently capped at just over 800 members. The $2 million funding towards the $5 million clubhouse will feature two buildings. One will house a patrol operations room and first aid facilities and the other multipurpose community rooms, an administration office, dry and wet training rooms, a function room and public toilets. Brand MHR Gary Gray said Secret Harbour beach attracted many locals, as well as people from out of the area. ‘The rapidly expanding population in the Rockingham southern coastal area and surrounding region means these numbers will continue to rise and the infrastructure and services must expand to meet that demand,’ he said. The project will receive the funding through the latest round of the Regional Development Australia Fund.